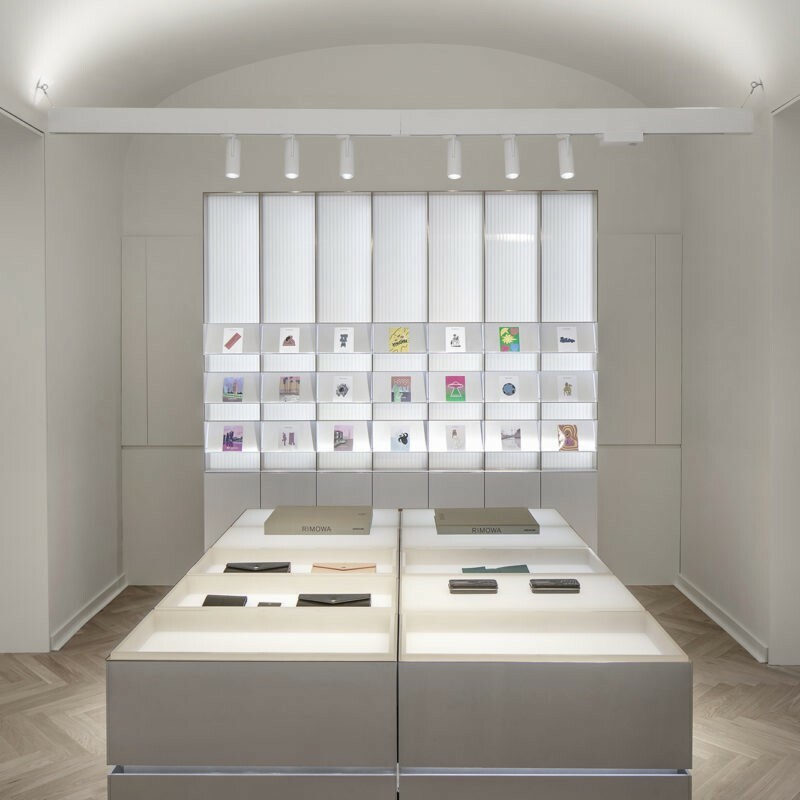 Universal Design Studio remodelled the Grade II former Lefevre Gallery into Stella McCartney’s London flagship retail space. The brief was to provide a relaxed environment with an air of nature for customers to freely explore and discover Stella McCartney’s creations. Universal restored and reworked original features to compliment the themes of nature and landscape, remaining respectful to both the history of such a site and the client’s branding. 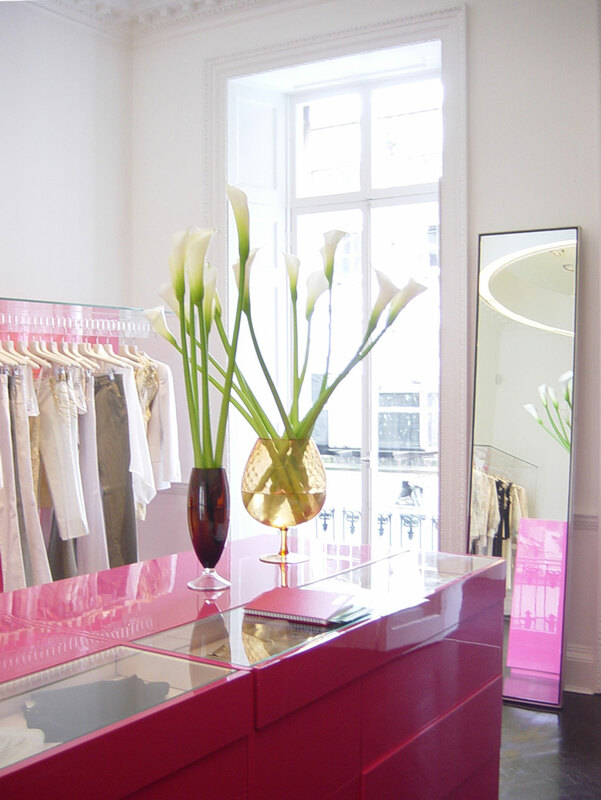 The retail areas include a perfume room, bespoke tailoring service, dedicated VIP area and garden. A monumental marquetry wall runs the length of the main retail space incorporating a fairy tale scene. 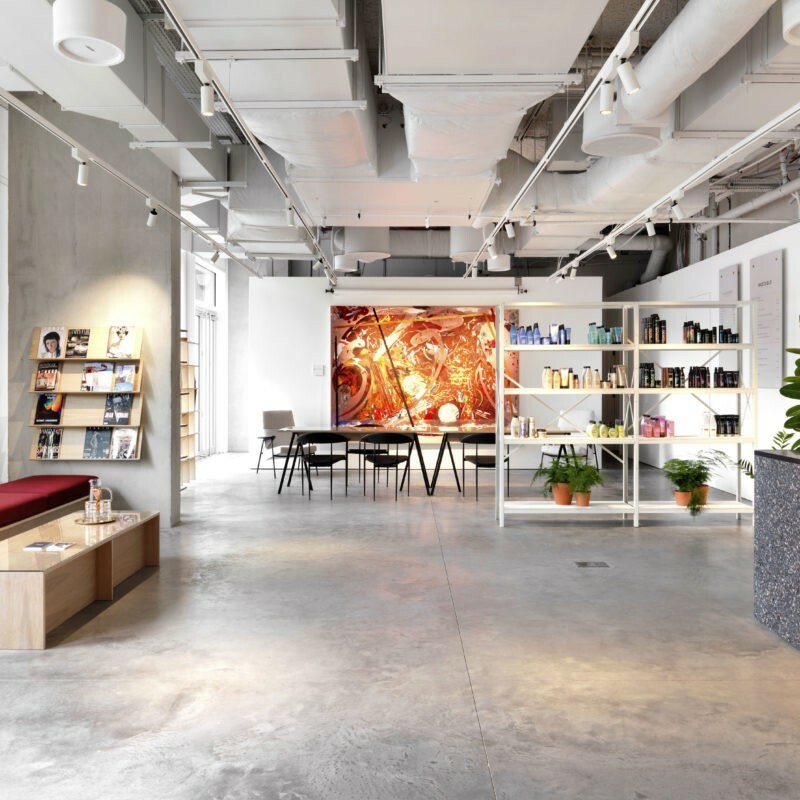 Using materials such as limestone, polished black granite and oak, the interiors offer a natural palette that reinforces the relaxed and calm atmosphere of the store. 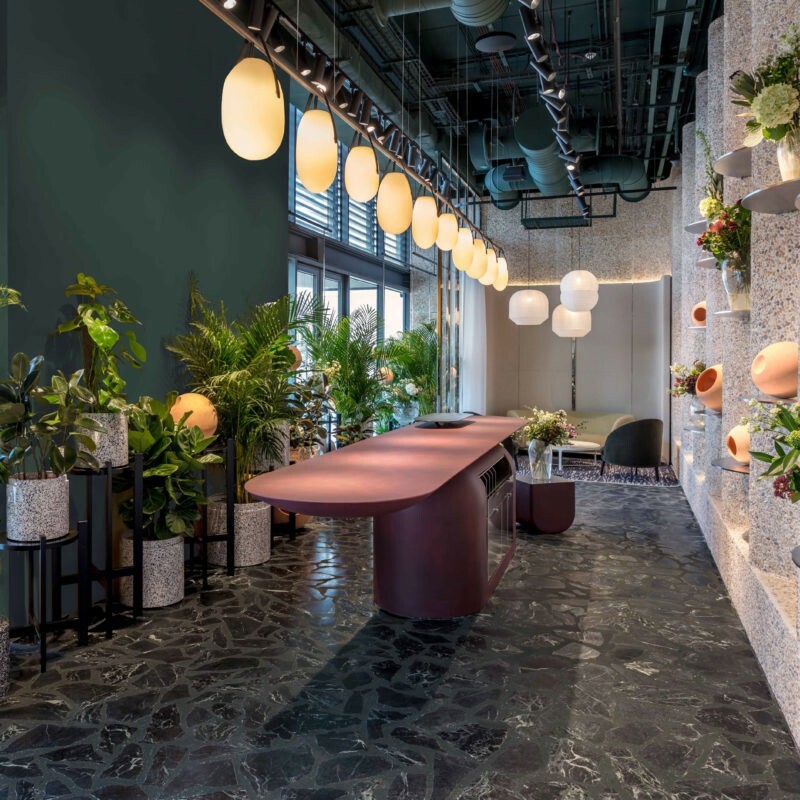 Contemporary furniture and bespoke fittings designed for the scheme are juxtaposed with hand-made wallpaper and hand-printed fabric walls to create an eclectic, personal and comfortable environment for customers to explore at their leisure.